Have you ever wondered how to take a picture where moving objects are artistically blurred while stationary objects are sharply in focus? These are called long exposures and we can teach you how to capture these photographs. Learning long exposure opens up an entirely new realm of creative photography that you can even try out at home, so let’s get to the long and short of it! A long exposure can be defined as one taken in low-light conditions using a shutter speed between 1 and 30 seconds. You may have seen such photos without knowing it and asked yourself “how do they do that?” Some common examples include pictures of waterfalls, lightning bolts, moving car lights, fireworks, and more. These may require special filters for your lens to reduce the amount of daylight entering the camera. We’ll discuss the basics here and define a technique you can easily practice. Let’s keep things simple by using candles as a source of low light and avoid the complexity of filters. Setting up your camera for a long exposure can be tricky. But don’t worry we’ll help make it easy! First, we’ll list our configuration and second, we’ll explain the selections and technique. Exposure of a photograph is based on three settings: shutter speed, aperture, and ISO. Using manual mode lets us have full control over each of these. Your shutter speed will vary – this is the key thing to adjust for getting the exposure just right. Practice makes perfect, so don’t worry if it takes several tries before the picture looks good. The next three settings are easy. Set the aperture wide open (lowest f-stop) to let in the most amount of light. 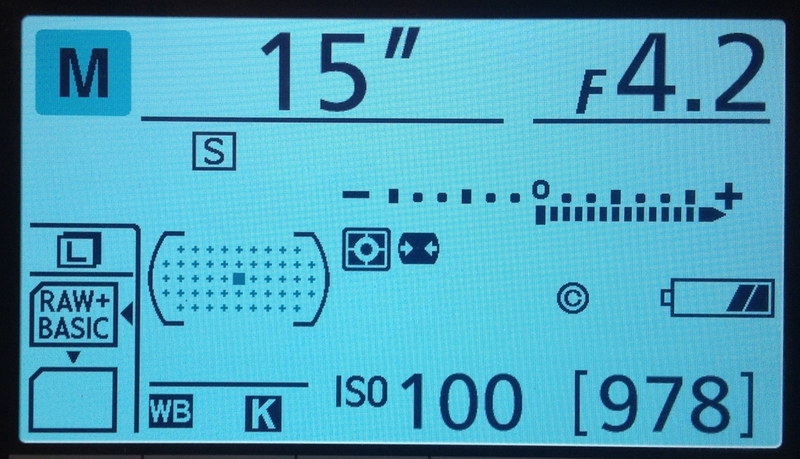 Set the ISO as low as possible for the sharpest detail. Matrix metering makes the most sense in cases of long exposure, so you can consider that a constant as well. Last but not least, getting the white balance just right also takes practice. We recommend a two-phase approach, using either live view (a real-time view showing the effect of white balance) or image review (taking a picture and seeing how the white balance came out on-screen). First, try automatic white balance as this may look fine and is very simple to use. If the auto setting does not create a great image, the second approach is setting a specific value. Configuring white balance using degrees Kelvin is an advanced option that gives you precise control. For low light exposures, we recommend values less than 5000 degrees Kelvin. To compose our example, we imagined what it looks like to see a feather falling. When closely watching a feather drift to the ground, it can seem to happen in slow-motion. Recreating this effect is a fun demonstration of long exposure. 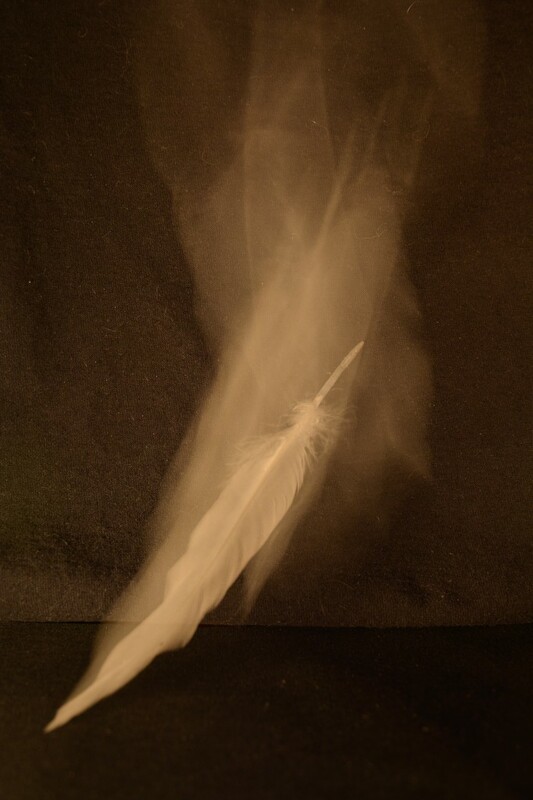 The feather began in the resting position for the first four seconds of our 15 second exposure, giving the crisp appearance that it had landed. It was then lifted through the air by slowly pulling up an attached piece of clear fishing line. 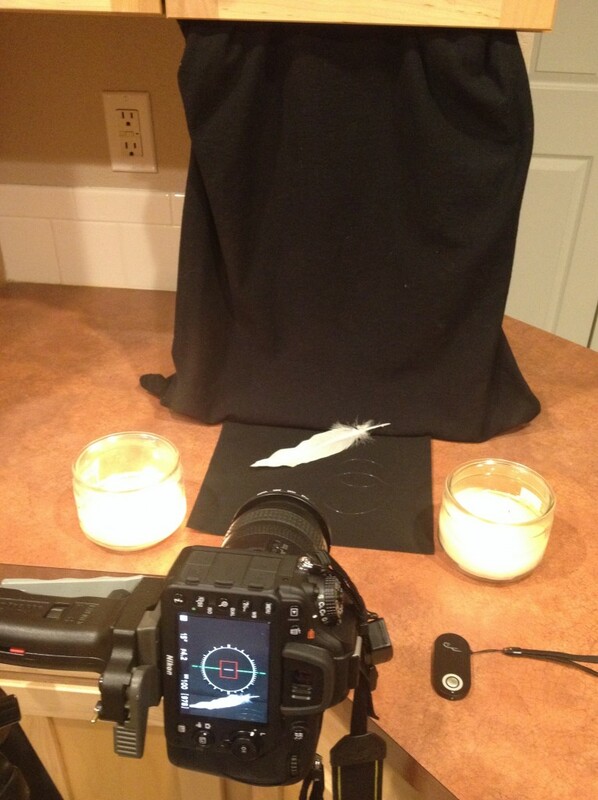 The image looks as though the feather floated down, when in actuality it was lifted up. Special effects in action! Long Exposure Photography: Do Try this at Home!